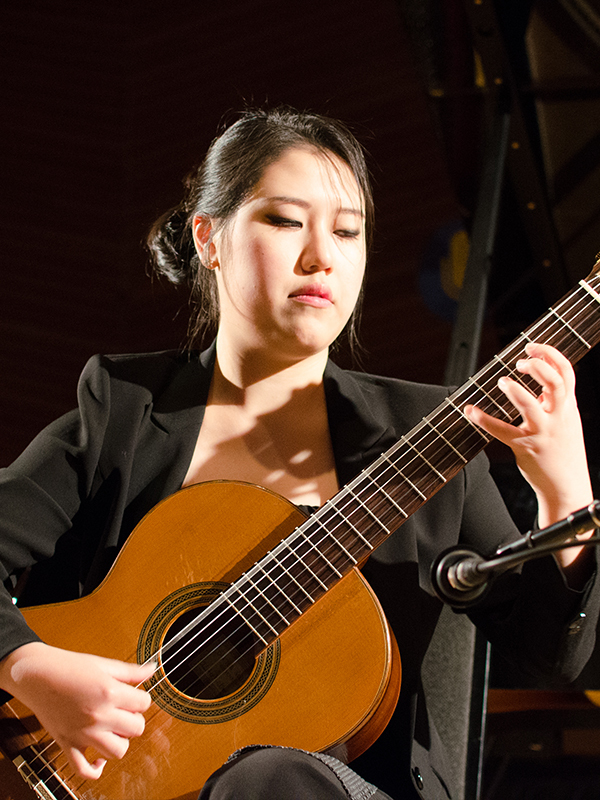 Bokyung was the first woman to win the 2018 JoAnn Falletta International Guitar Concerto Competition! Bokyung Byun performed on Show 327 at the Aspen Music Festival and School on August 14, 2016. Bokyung Byun (guitar), 22, is from Seoul, South Korea, and will be starting her DMA at the University of Southern California this fall where she will study with Scott Tennant. She appeared on From the Top as a soloist on Show 270 in Athens, Georgia. Bokyung loves listening to performances from the audiences’ perspective. Outside of music, Bokyung loves tasting different kinds of foods.